The 7th Annual Bentley Scottsdale Polo Championships is fast approaching. 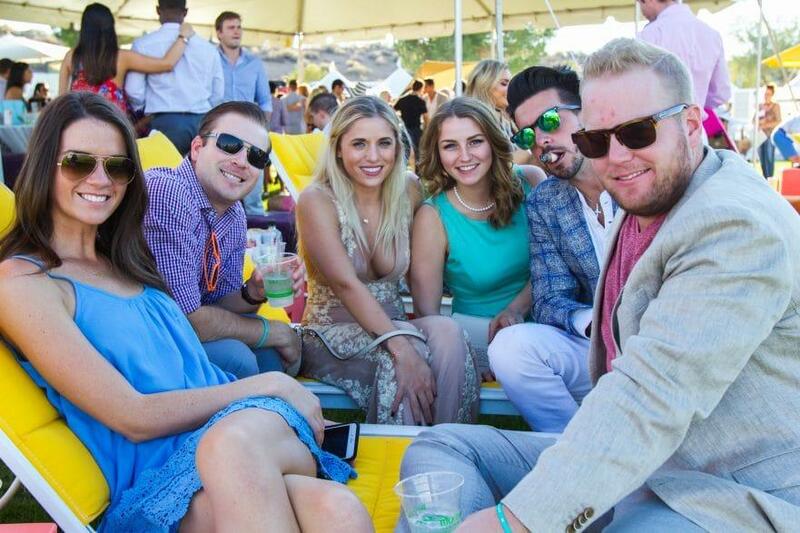 There are so many great ways to enjoy the matches and the party at the country’s most attended polo event on November 11th and 12th at WestWorld of Scottsdale. Below are just 9 of the many ways you can enjoy this year’s Polo Party. General Admission provides you access to grass, bleacher, and picnic table seating on a first-come, first-serve basis, and tents such as the Bottled Blonde Polo Lounge by Stella Artois, Mark-Taylor Residential Luxury Living Room, Sandbar, and Fried & Fizzy, a new pop-up restaurant featuring champagne and fried chicken by acclaimed Chef Michael DeMaria, all polo matches, car displays and other event elements. And if you purchase tickets early, you can save a few bucks. There’s nothing like The Bottled Blonde Polo Lounge by Stella Artois in the world of Polo. Constant music and action in this unique atmosphere to socialize, party, and even body surf as some do year after year. To accommodate the bussiest tent in polo, it’s been expanded by nearly 50% with bottle service available. The Fourth Annual Canine Couture: Presented by Oh My Dog! It’s a dog fashion show like no other. All breeds and sizes are allowed to enter. Register here. Join local jazz artists in the Barrett-Jackson Champagne & Jazz Lounge. Or our high-energy DJ in the Bottled Blonde Polo Lounge by Stella Artois. We’re even turning off all music during some of the featured match’s chukkers for live performances by the Phoenix Opera and Southwest Shakespeare Company. The event is one of the most significant concentrations of automobiles until Barrett-Jackson in January. It’s a sneak preview event with the World’s Greatest Collector Car Event. With amazing cars from Bentley Scottsdale, Scottsdale Maserati, the Arizona Lamborghini Club, the Ferrari Club of America, and many others. Did someone say “mimosas”? Sponsored by Scottsdale Maserati, the brunch provided by M Culinary Concepts is a way to spend Sunday like no other. The brunch includes covered tent field-side seating and admission to both matches on Sunday. America’s most interesting polo event will offer even more excitement on Saturday when the Monte-Carlo Polo Team makes its debut taking on the two-time defending champions from Aspen Valley. Six matches with visiting teams from Santa Barbara, Seattle, Monte Carlo, St. Moritz Switzerland, and returning champions from Aspen Valley, featuring American Polo legend, Mike Azzaro. In addition to the new teams making appearances this year, Clogau Wales Polo Team will be returning Sunday. This year will also include a Battle Of The Sexes match on Sunday, an all-male team will take on an all-female team to commemorate the greatest female player of all time, Sunny Hale. Sideline Parking is a superb way to enjoy the event. The entire north side of the polo field is reserved for your car. And you can bring as much food as you like but no alcohol per state liquor laws, please. Pull up, park, and enjoy The Polo Party. There’s a little more than two months until November 11th & 12th, so be sure to get the tickets you want, where you want. All tickets, tables and tents are on sale at ThePoloParty.com. 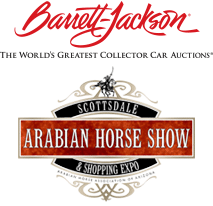 Barrett-Jackson is one of The Bentley Scottsdale Polo Championships’ Signature Sponsors. If you are interested in consigning a car for their January auction visit Barrett-Jackson.com. We look forward to seeing you November 11th & 12th!